We will wrap our payment gateway as a plugin. You will learn how to create payments and also how to process the information you get back from PayPal. Let’s first create our plugin structure. 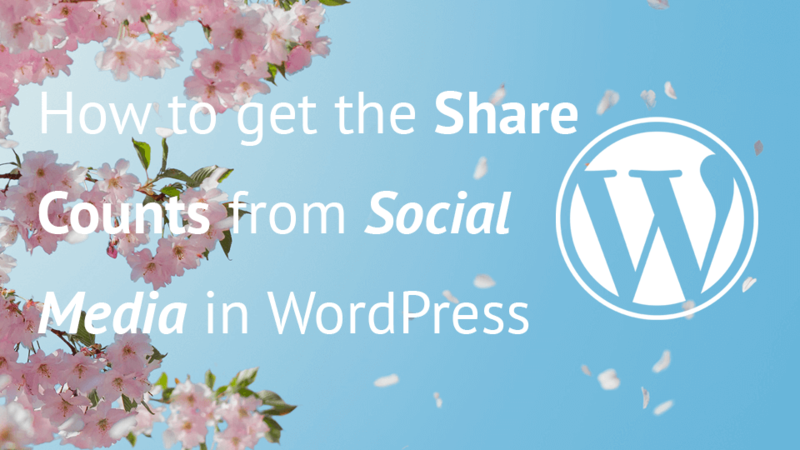 Create a folder inside wp-content/plugins and name it woo-paypal. Inside that folder create a new folder includes. That folder will contain our PayPal SDK. 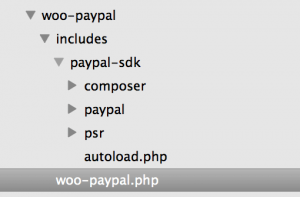 Create an main plugin file woo-paypal.php also in the folder woo-paypal. Since we are using PHP for programming anything inside WordPress on the server side, we will have to use the PHP SDK. You can download it here: https://github.com/paypal/PayPal-PHP-SDK/releases. I have downloaded the PayPal-PHP-SDK-1.7.4.zip. I also like to add some constants for easier development. Now we will create a constant and also hook a function that will create our WooCommerce payment gateway once all the plugins are loaded. The constant WOO_PAYMENT_DIR will contain the path to our plugin so that we can easily include all other files such as the PayPal SDK. We will do that later in this tutorial. The payment gateway Woo_PayPal_Gateway has been defined here by extending the WC_Payment_Gateway. At the end we are also adding our class to all the registered payment gateways using the WooCommerce filter woocommerce_payment_gateways. The variable $apiContext will contain the authorization that PayPal SDK requires for communicating with the PayPal REST API. Our payment gateway will be shown only on purchasing products on the checkout page so we are supporting only the products feature. After that we are getting the PayPal SDK using the method get_paypal_sdk. We will create that method a little bit later. To get our fields and also the settings for that fields, we have to initialize them. We do that with the init_form_fields and init_settings methods. We have also hooked our check_response method to a custom action hook check_woopaypal. This action hook will be defined later on. The method check_response will check for our PayPal response after the customer has payed or cancelled their payment. Both actions will redirect the customer back to our website. The last part of the constructor method is to hook a method for saving the settings in the admin area. That method is already defined in the WC_Payment_Gateway. These is where we use our constant WOO_PAYMENT_DIR for including our PayPal SDK. By including the autoload.php, all our PayPal classes that we use will be called by the autoload. Our form fields will be simple. One will be used to define if our payment gateway is enabled or disabled. The other two will be used for our the authorization part of our PayPal SDK. The Client ID and the Client Secret are required by the PayPal SDK. 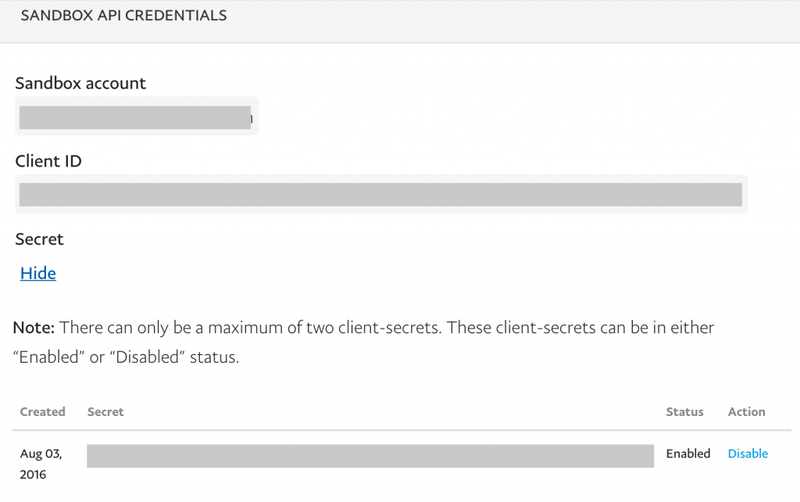 I will show you how to get your client ID and secret at the end of this tutorial. Once our customer clicks to Pay while the Woo Paypal is checked, our customer will be redirected to PayPal (if everything goes well). Before we redirect our customer we have to check if everything is ok and set all our products, shipping and taxes. I suppose you want to know what everything here is meant for, right? Let’s find out together! First, we are getting the order object to the variable $order. We are also setting the $apiContext by calling the method get_api_context. We are then creating a new Payer object in $payer and also assigning paypal as the payment method. The variable $all_items will contain all our Item objects for each product in our order. The variable $subtotal will contain the total subtotal from all our products. We are then iterating over the items in the order and for each item we are creating a new Item object. If the item type is fee, we are setting the Fee item with its cost and also the quantity of 1. If the item is a product, we are setting the Item object with all the product’s information such as the name, price, quantity and also the SKU if there is any. Once our object is done, we are pushing it to the array $all_items. After that the we are creating an ItemList with all the items in it. The object Details will contain all the information on the shipping, tax and subtotal. After that the object Amount will get the currency code, the total and the Details object. This will make sure that the total is the same as the shipping + tax + subtotal. Once that is done, we are creating a Transaction object where we set the Amount, ItemList with all the items and the invoice number. We are also creating the $baseUrl using the order data. If the URL has a ? then we are setting a & at the end of the URL. Otherwise, the ? will be set. Once our $baseUrl is done, we are creating the return URLs that PayPal will use for redirecting customers back to our website. We are setting a querystring woopaypal that will be an indicator that our customer has returned from our WooCommerce payment gateway. The last thing is to create the payment using Payment. Once we create the payment, we can get the $approvalUrl where we want to redirect our customer. If everything was successful, we are returning an array with the approval URL. Otherwise we are creating a WooCommerce notice and returning an array with failure so that our customer does not get redirected. After our customer completes the payment or cancels it, he/she will return to our website. We have to know what happened to our order, so let’s see how we can easily check if the customer has returned from our payment gateway. Here we are hooked to the action init. In the function check_for_woopaypal we are checking if there a woopaypal querystring. If there is, then we are starting all the payment gateways and also create a new action hook check_woopaypal. So, here we are getting the value of the querystring woopaypal and also from the querystring order_id which we have also passed. If the order id is equal to zero or none, we are stopping the response because we have no order. We are also creating the $order with the order ID. If the order has the status completed or processing, we are stopping there since we don’t need to check the payment. We are checking this just in case our customer refreshes the page with the same querystrings in the URL. If the value of our $woopaypal is true, then the payment was completed. To be sure of that, we must check everything once again, so we are getting the $apiContext for the authorization part. We are then getting the $paymentId and get the Payment from that ID and the $apiContext. Since we will have to execute the payment (so that PayPal knows that we got the customer back to our website), we are creating an object from PaymentExecution. We are here setting the PayerID. The objects Transaction, Details and Amount are the same as we used when processing the payment. We are again iterating over all the order items just to get the subtotal value. The same steps we have used when processing the payment where we using here to set the shipping, tax, subtotal, total and currency information. We are adding the transaction to the $execution object. After that we are executing the payment by passing the $execution object and the $apiContext. If everything went well, we are completing the order by calling payment_complete method on the $order object. We are also adding a note on the order and also emptying the cart. Otherwise, we are adding a WooCommerce notice and update the status of the order to failed. When a customer has cancelled the payment, we are getting the order and updating the status to cancelled. As I have said before, we are at the end of the tutorial and we will now see how to get the Client ID and Secret. Go to the Developer PayPal Site. Login with your account and go to the Dashboard. Scroll down to the REST API Apps and click on Create an App. You have to have an account there to be able to use it for your App. If you don’t have one you can easily create on at Sandbox > Accounts. Once you have created you App, click on it. You will see your client ID and secret. Copy them and paste them inside the WooCommerce > Settings > Checkout > Woo PayPal. 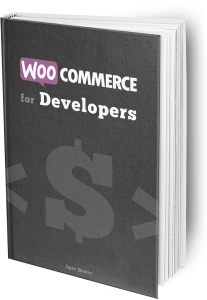 Creating your own WooCommerce Payment Gateway can be a lot of fun. 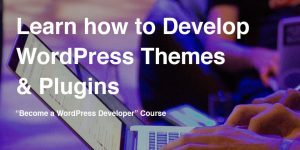 But you really have to know how to use WordPress, WooCommerce and also your payment gateway. Once you know the workflow of your payment gateway, you can easily create the payment gateway you need. This was a simple example of one. I do encourage you to look at other payment gateways you can find on WordPress.org plugins repository and study their code to see how to accomplish other things with the payment gateways for WooCommerce. If you have any question regarding this payment gateway, feel free to post in the comments below! I have heard only about PayPal Mass pay which is what WC Vendors plugin should be able to process. For other gateways to be compatible and send the payment money in different accounts, they need to have a feature for that. I have never worked with marketplaces so I don’t have much information about that. Great in-depth article. And thank you Igor for sharing this. I have been reading up on developing a Payment Gateway Plugin for a few days and I am trying to understand the issue in depth. So if it’s not too much trouble, could you explain? I have one question. Could we have used the WooCommerce API for server call back? instead of ‘init’ hook? Hi Victor, that is a great question! As far as I understand it, that action is called when doing a call with the querystring ‘wc-api’. So if we had something like yoursite.com?wc-api=woopaypal, it will process the action woocommerce_api_woopaypal. We can then hook on that one and process it. I think that this approach is even a bit better performance-wise. To check the code where that action is being called, you can check the file woocommerce/includes/class-wc-api.php and then search for the method handle_api_requests. First, thank you tons for this. I spent two days trying to figure out why Paypal sales would not register in my WC site as completed. Everyone wanted to blame me, my theme, Godaddy’s hosting and Paypal’s sandbox (slow). Turned out to be Woocommerce’s Paypal gateway. Using this with some custom adjustments and it now works 100%. Thank you for saving my project and keeping me from having a really mad client! But I don’t know how to get ‘mode’ => ‘live’ into this mix. Could you explain that? At the moment, I have a “hacked” version of the Paypal SDK, where I changed the Sandbox mode links to Live links to connect to the write server, but that’s a poor-mans solution, and having it done right would be better. Thanks again! Great piece of work and tutorial! Follow the Credentials set with another application to the object, not added code to the first object call. You could use the settings there and also create a radio option where you could choose to use sandbox or live mode and then based on that value you can set the mode to it. About the apiContext, I thought the exact same thing! The live and sandbox client keys are unique, so I figured the server router(r) would know which account and which mode. But I guess since the request goes directly to either Live or Sandbox servers, that the server will only have the credentials for it’s own accounts. I was going to add two options today – a checkbox for Live/Sandbox mode, and a setter for the checkout button text. I am going to make this plugin a permanent part of my workflow for all future Woocommerce projects. Great to hear that! Really happy that this tutorial has helped you! Wish you many great projects (and clients). Two more things I’ve noticed – I hope I’m not being a pain here with too many comments! The domain is wrong, the rest of the plugin uses ‘woo_paypal’ for the translation domain. On my site, if a user goes to the Paypal page, then cancels the order, it is returning users to a page that says the order is paid. It’s registering correctly in WooCommerce as cancelled. I’m not sure if this is an issue that can be resolved with this plugin, or if it’s glitch in WooCommerce. Hi Mark, maybe that could be done on the part inside the method check_response. 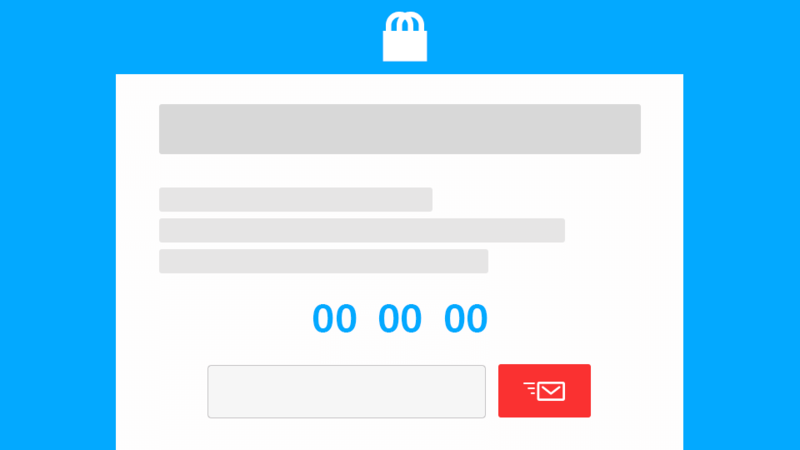 After the order status has been changed to cancelled, you could redirect them to a different page or even the checkout and applying a message for it. Just be sure to use wp_redirect and exit; together. Sorry for the super late response – been super busy with work. I haven’t gotten a chance to debug this problem yet, but I will and I will post what I find here. The site I was working on is already in production, so this has become less of a hot-issue for me – again, thanks to you for saving me with this so I could get that site launched. I’ll be finishing this out as a plugin that I can use on any future projects, and I’ll post it on Github, appropriately giving you credit for the bulk of the work. I am going to change the name and variables, because I’m afraid that woo[anything] is too likely to conflict with another plugin down the road. I still want to fix this cancel page issue, and also see if there’s a way to hack woocommerce from the outside so the standard Paypal gateway can be disconnected and remove confusion for the user. I tried deleting the gateway directory from my client’s site just to reduce the code bulk and also remove that gateway option, but the site went white-screen-of-death over it, so apparently that gateway is hard coded into the WC core. I’ll keep you posted, and thanks again! Hi Mark, thank you! To remove the default paypal gateway, you might want to check how they are adding that in the same way as we are adding this payment gateway. You will have to exclude that payment gateway through the filter by using unset. You’re way ahead of me on that one! Cool, I will make a note of that and check that off the to-do list! Great post. I am actually looking for a solution like this. We don’t have paypal in pakistan and bank here don’t have any plugins for wordpress that can integrate with woo commerce. Moverover, there are no SDKs like PayPal that you can use. Now the question is how to create a plugin that can send order id and payment amount on banks page where payment can be made and then make them return to our website without altering any functionality of woo-commerce? I am glad you like the post. To answer your question: Only if the bank has an option for that, then you could do it. Some banks or payment processors do have such thing where you send them such parameters, they then return a link or similar where you redirect your user. Once the user has completed it, the bank web app itself would return your visitor to your site with additional parameters which then you would check.